Now that the Departments of Labor and Treasury have clarified how EAPs can co-exist with employer health plans under the Affordable Care Act, it’s a good time to consider adding one of these valuable programs to your benefits package. An employee assistance program, properly implemented, can provide a significant return on investment and can help you raise the productivity of your workforce, lower absenteeism rates, reduce accidents and help resolve workplace conflicts and complaints. An EAP is a voluntary, work-based program that offers free and confidential assessments, short-term counseling, referrals, and follow-up services to employees who have personal and/or work-related problems. EAPs handle a broad and complex body of problems that affect mental and emotional well-being, such as alcohol and other substance abuse, stress, grief, family problems, and psychological disorders. EAP counselors can also work in a consultative role with managers and supervisors to work through employee and organizational challenges and needs. Many EAPs are active in helping organizations prevent and cope with workplace violence, trauma, and other emergency response situations. 24-Hour Crisis Telephone Response. Professional EAP counselors provide live, immediate telephone crisis counseling 24 hours/day, seven days a week. Confidential Assessment and Counseling Services. Licensed, professional counselors — experienced in providing EAP services — deliver assessment and brief, solution-focused counseling in safe, private, confidential offices. Referral Support, Tracking and Follow-up. The EAP should assist with referrals for long-term or specialized care based on assessed client need, recommended treatment, client preferences, financial and other resources. Emergency Intervention/Critical Incident Stress Management. The EAP provides onsite assistance in a timely fashion for emergencies, including critical incident stress management (CISM) defusing and debriefing, and other crisis response for management and employees. Substance Abuse Expertise. Given its disproportionately significant impact on the workplace, EAP providers should have specific knowledge, training and experience in the assessment and treatment of chemical dependency and other addictions. How will EAP client records remain completely confidential and protected as required by law? Does the EAP provide online access to screening and referral services? Will my company receive direct management communication and support from the EAP? Will my company receive timely, knowledgeable crisis response? Will the EAP be visible and responsive in a crisis, and provide timely, customized on-site critical incident stress management services and crisis response at all workplace locations where needed? Will the EAP provide evidence of results? Will providers be EA professionals, or are they behavioral health counselors with no EAP credentials? Does the EAP guarantee availability of non-urgent and urgent appointments in a timely and responsive fashion? Can my company deal directly with the EAP provider’s decision-makers for quick response to all management and consultation needs? How will the EAP provider track utilization of EAP services? Do the utilization figures separate employees from dependents? Do the utilization figures separate phone calls from other services, such as consultations, counseling and training? Does the EAP utilize a reliable data collection process that delivers valid, measurable client and organization satisfaction ratings? Will the EAP provide annual utilization, satisfaction and client-specific return on investment (ROI) reports? Like other benefit plans, EAPs can vary greatly from one provider to the next. Employers can scale the services they buy to their needs. Start by determining the level of service you want and can afford, then look at the options available that satisfy those levels. 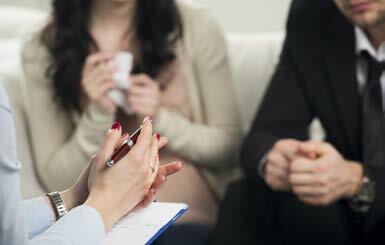 EAPs can offer referral services, or referral services in combination with counseling services. Both the referral services and the counseling services may be supplied by company personnel, by an outside organization under contract, or by a combination of both. An EAP may include a full suite of services or just a few. Many plans base costs on utilization, while others charge a flat per-employee fee. The exact cost of an EAP varies with your location and the type of services offered; charges of around $25 per employee per month are typical. Surprisingly, the cost of EAPs has remained relatively stable over the past decade, due largely to increased competition and advanced technologies. Are EAPs Worth the Cost? An estimated 26.2 percent of Americans ages 18 and older — about one in four adults — suffer from a diagnosable mental disorder in a given year. Mental Health America estimates that untreated and mistreated mental illness cost U.S. businesses up to $44 billion per year. Eleven percent of American workers have a problem with alcohol. In a 2006 study, about 15 percent admitted to using or being impaired by alcohol at work during the preceding year. The U.S. Substance Abuse and Mental Health Services Administration (SAMHSA) estimates employers’ savings from investing in alcohol and substance abuse programs can exceed costs by a ratio of 12 to 1. Twenty-six percent of respondents to a Families and Work Institute survey said they were often or frequently very stressed or burned out by their work. 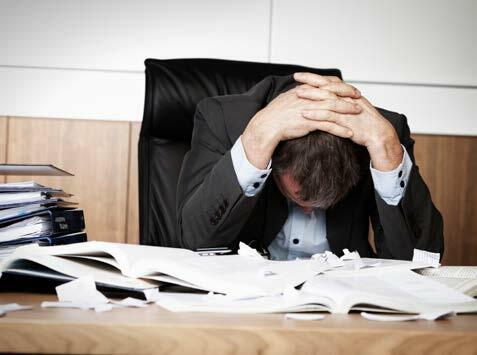 Workers who report high levels of stress have healthcare costs that are nearly 50 percent more than other workers.